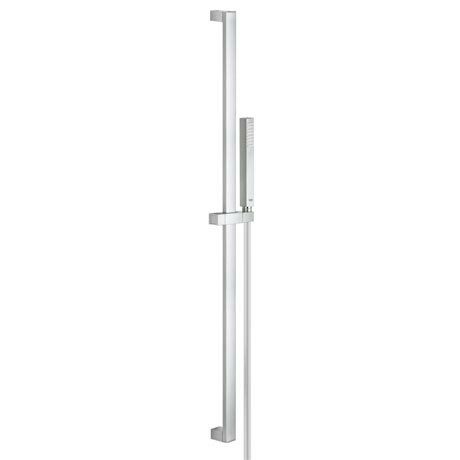 A quality shower slider rail kit, the Euphoria Cube Stick has been designed and manufactured to the highest standards by Grohe. The shower handset comes with the revitalising Rain spray pattern and is delivered in a complete set, including a 900mm shower rail and a 1750mm long shower hose for lots of elbow room. GROHE DreamSpray® distributes the water evenly to all spray nozzles. The InnerWater Guide ensures that the surface of your hand shower will never be too hot to touch and protects the lustrous GROHE StarLight chrome finish from excessive heat.